I started planning how I’d spend my week there and eventually decided to explore the southeastern Caribbean coast. I based myself in Puerto Viejo in the province of Limon. I planned to visit areas from the town of Cahuita east to the town of Manzanillo, where the coastal road ends. I ended up renting a small house. It was reasonably priced relative to local hotels. It also turned out to be more secure and air conditioned. Malaria and dengue are present in the area and most lodging is open air, so you need to use bed nets. With air conditioning, I could close up the house and not worry about mosquitoes. I also started taking an anti-malarial before traveling. I took most of the money I thought I would need and dollars were accepted everywhere I offered them. It’s a good thing too, because I couldn’t get my ATM card to work at any of the ATMs I tried. I did finally manage to get a small cash advance with my VISA card. Unfortunately that was after encountering a toll road, where I successfully pleaded for passage since I was at that point, penniless. The weeks leading up to the trip I started checking the local weather. I was surprised to see it was raining every day. When I arrived, I was told it had rained for three straight weeks. At one point, it rained three days pretty much non-stop. My first day there was cloudy and misty at times. After that though, the only rain I saw was from scattered storms off in the distance. On the last day, my host told me that he hated to see me leave because I had seemingly brought the sun with me. Generally, average temperatures don’t change a whole lot throughout the year. Highs are in the low 80’s (high 20’s C) and lows are in the low 70’s (low 20’s C). I was comfortable while I was there as long as I stayed in the shade. January is often rainy, receiving an average of ~13 inches (~320mm) of an average annual total of ~133 inches (~3380mm) (source: wikipedia). 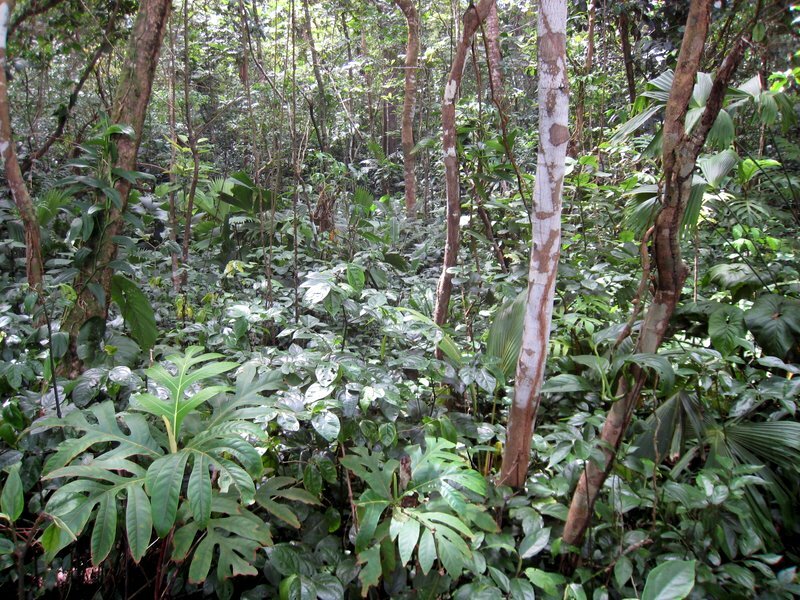 The entire area is tropical rainforest. Hills rise fast away from the coast, but I probably never got above 300 feet (100m) in the areas where I photographed. 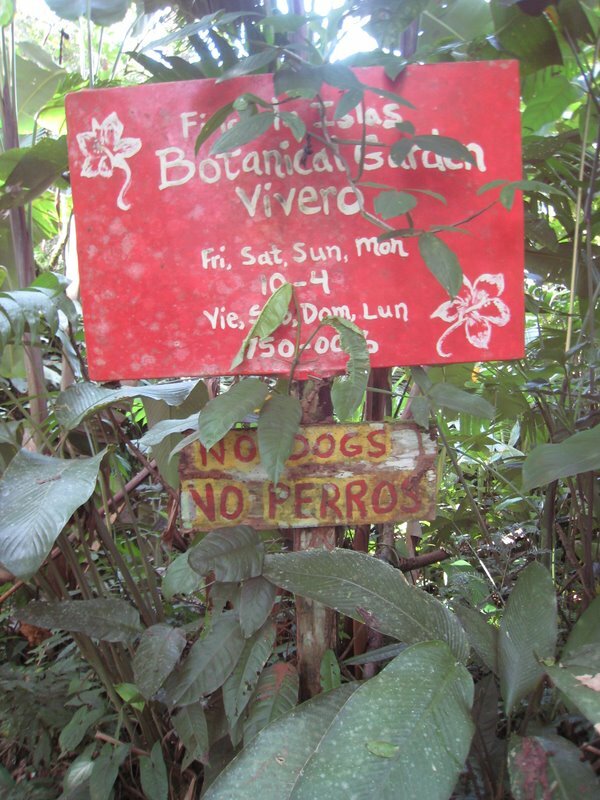 I looked at taking public transportation to get to Puerto Viejo, but the bus hours didn’t work well for me. I decided to rent a 4×4, which would also give me more flexibility. This was the largest expense of the trip, but I did make use of it so it was a good decision. 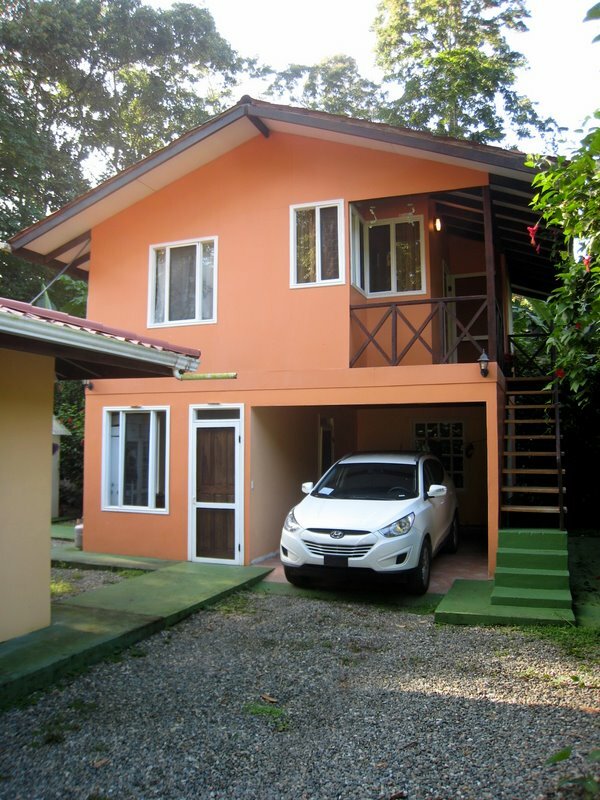 I’ve rented cars in Costa Rica before, but never from Economy. I recommend them. Their prices were the best I found in advance. The pickup/drop-off location is very convenient to the airport. The agents were extremely helpful, even checking in advance the road conditions where I would be travelling to make sure there were no road closures because of the recent rains. I arrived in the wee hours of the morning, so I got some rest at a hostel near the airport. Later that morning I picked up my rental car and began the 4 to 5 hour drive to my destination. Traffic was light since it was Sunday. I did manage to get slightly lost both times I had to pass through downtown San Jose. The roads are generally good most of the way, allowing for a speed limit ride. They get worse along the coast and after Cahuita it gets increasingly challenging, with unpaved stretches, especially approaching Puerto Viejo. The road beyond Puerto Viejo to Manzanillo is a mixed bag. There are some recently paved stretches, but mostly the road is heavily potholed. You really have to concentrate on the road. At the same time, you have to be mindful of tourists and locals walking and biking. I often missed what I was looking for just because it’s difficult to keep an eye out for signs and landmarks when you’re concentrating so hard on not hitting anything or anybody (including for example, a sloth, which I patiently waited on). I arrived near dusk and was hoping to do some nighttime photography. 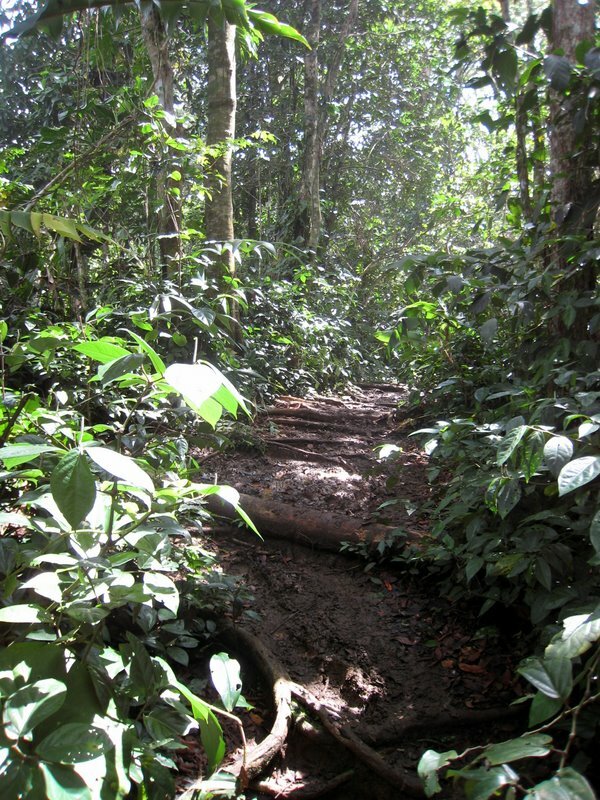 I stopped at Cahuita National Park as they were closing and asked about using the trails at night. I had seen they allowed camping, so I figured worst case I would pay for camping to gain access at night. It turns out they haven’t allowed camping for years. I asked about walking along the beach at night, but was cautioned against it. I asked several other locals and they all told me I would most likely get mugged if I ventured out at night in any public areas. That was disappointing to hear, but I resolved to try and find a private reserve where I could work out some sort of access at night. I didn’t have any issues, but some other tourists I spoke with in the area were victims of theft. 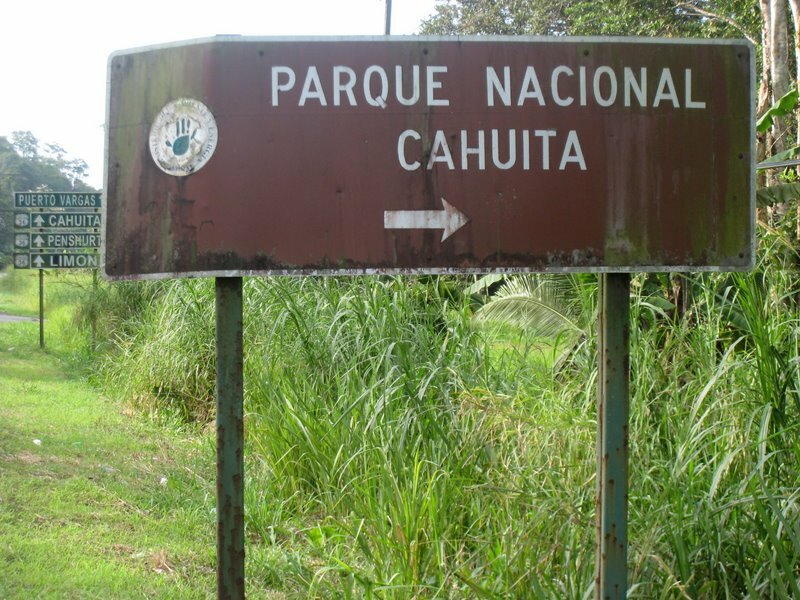 On my first day I was waiting at the gates to Cahuita National Park before they opened and they closed the gates behind me at the end of the day. 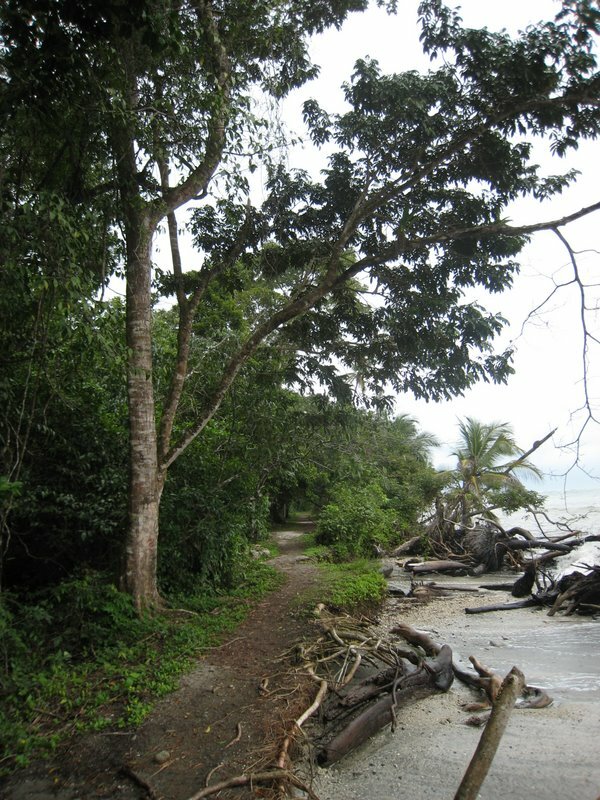 I spent the morning walking along the coastal trail leading to Cahuita Point. I did find some interesting things, but it was mostly the same types of coastal vegetation. 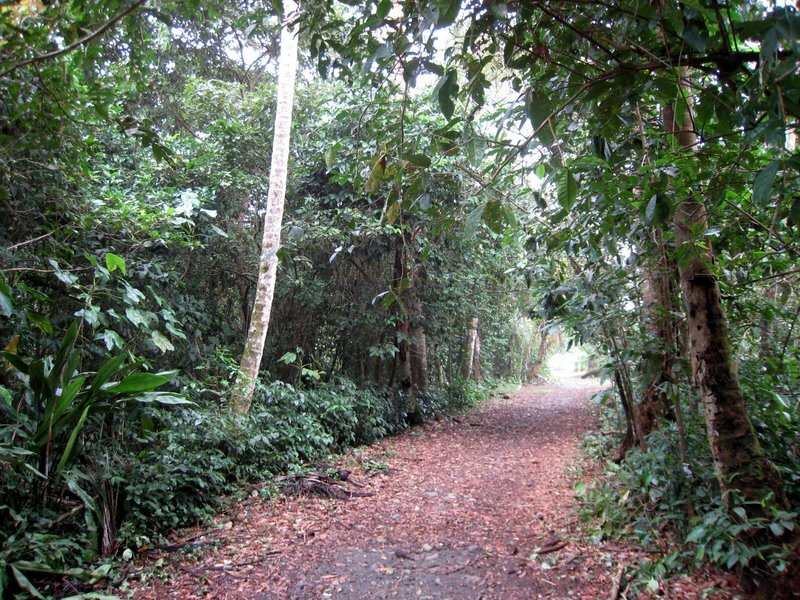 For more variety, I explored the trail that leads from the ranger station to the coast and was rewarded with better diversity. All the trails I explored were flat and easily traversed (the first few kilometers are actually drivable). On the second day I headed to Manzanillo at the end of the coastal road. 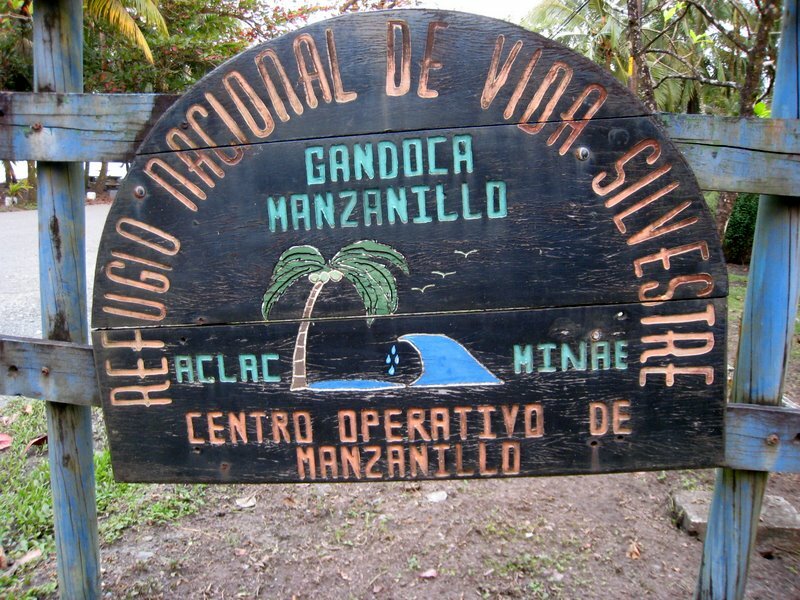 There you can hire guides to take you into the Gandoca-Manzanillo National Wildlife Refuge. I went unguided along the well traveled coastal trail. I first had to cross a small creek which at close to high tide came up almost to my waist. Thankfully it was nearer to low tide when I left. In retrospect, I could have easily stumbled here and ruined my equipment. If I go again, I’ll take a large sealable bag to protect my equipment. The trails here are hillier and quite slippery in places because of the recent rains. It was a rewarding day with lots of interesting finds. On the walk back, I enjoyed exploring the tidal pools that formed as the tide receded. The next day, I resolved to find a private reserve with the hope of being able to photograph at night. I had already sent emails to some places but had received no responses. I started driving along an interior unpaved road from Punta Uva heading South towards Panama where I knew a few reserves were located. A few kilometers in, I found one and stopped. I spoke with the owner, but he said his reserve would be closed for a few months for repairs (presumably from those recent heavy rains). I tried to convince him to allow me self-guided access, but he was unmoved. After driving another few kilometers I saw a few men parked down a private road. I turned in and decided to try my luck. 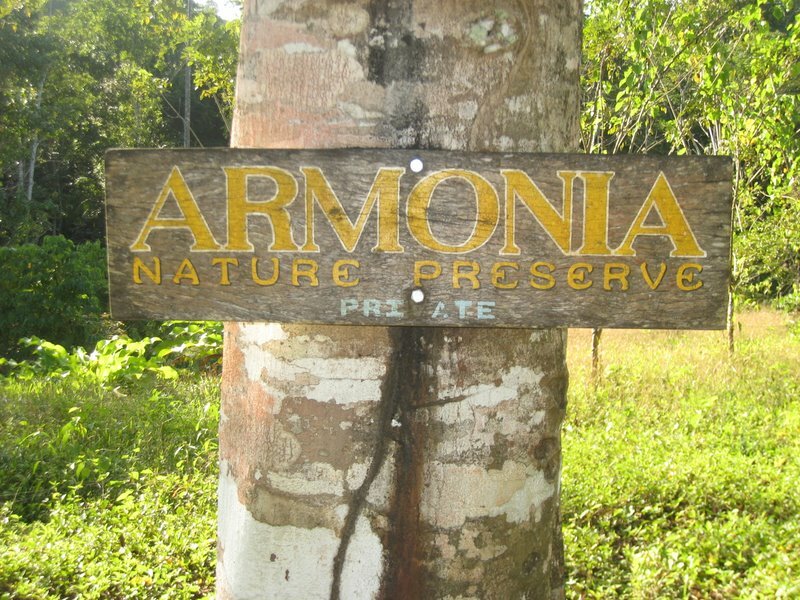 It turns out the men are a couple of expatriates in the initial stages of developing Armonia Nature Preserve. They were reluctant at first to allow me access. We talked some more though and they eventually relented. I even convinced them to allow me to explore at night, which I did, twice. The property is a mix of primary and secondary forest with some small creeks. 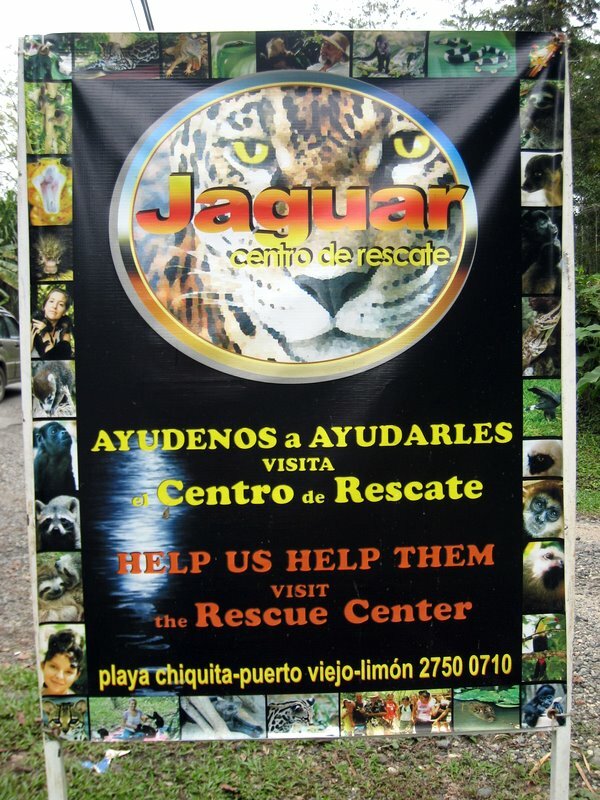 On my last full day I returned to Armonia Nature Preserve, but on the way I stopped at the Jaguar Rescue Center. They have lots of native snakes on display, so it’s a good opportunity to safely get a close look at some of the dangerous ones. What they otherwise have at the center depends on what’s recently been rescued and hasn’t yet been released. I was given an opportunity to handle both a young howler monkey and a sloth. They also had a pond with some caimans, some birds of prey, and a margay. While at the rescue center, I had a rare rainforest moment. If you’ve been to the rainforest, then like most you’ve probably been disappointed that it’s not quite as full of life as you’d imagined. I know I was somewhat disappointed the first time. 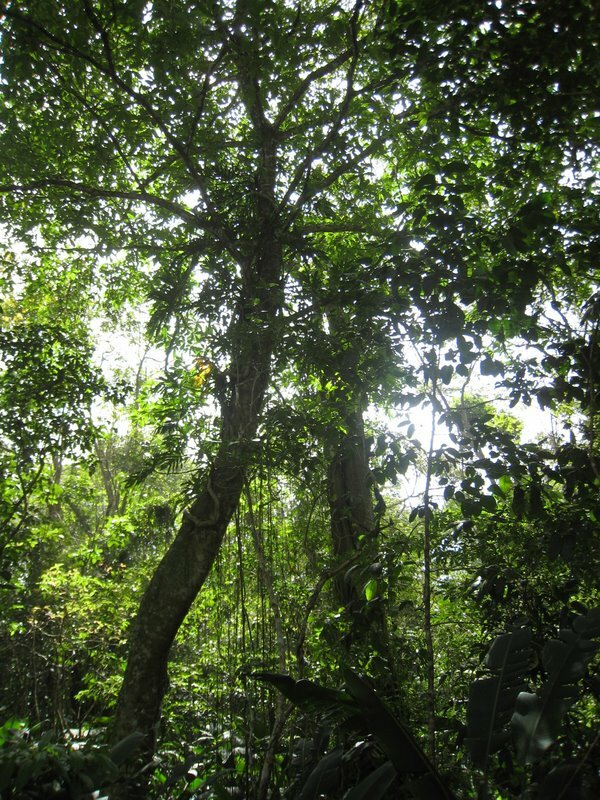 But here, looking up into the canopy, I managed to see a sloth, several large iguanas, a hawk, and a toucan, all wild, and all at once! My guide commented that the animals seem to know they are in a safe place there. If you’re in the area, I highly recommend visiting the rescue center. My last day had to be a short one because I had to make the long drive back to the airport to catch a red-eye flight back home. 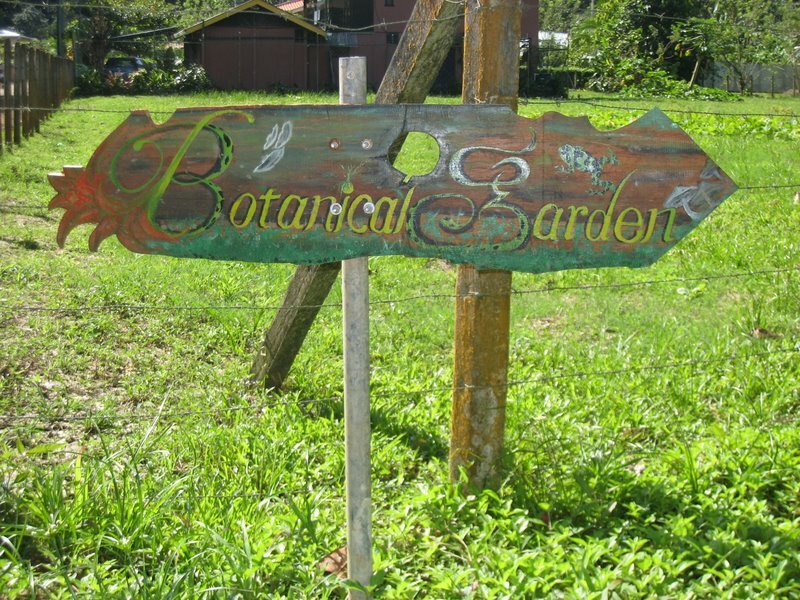 I pushed it though, exploring a bit too long within a nearby botanical garden, Finca La Isla. I ended up driving the last few hours in darkness through some well-maintained roads within Braulio Carillo National Park that were nonetheless challenging because of dense fog. I was surprised at just how common sloths are in the area. There were occasional “sloth-jams” where tourists were stopped along the two-lane road to photograph those that were visible from the road. I was told the sloths also attract harpy eagles, being the bird’s primary prey. The howler monkeys were quite vocal as they called to each other. I also spotted several groups of white-faced capuchins, but I never saw the local spider monkey. It’s probably a birder’s paradise, but I’m not a very good birdwatcher. I did see a spectacled owl up close while I hiked along a streambed. 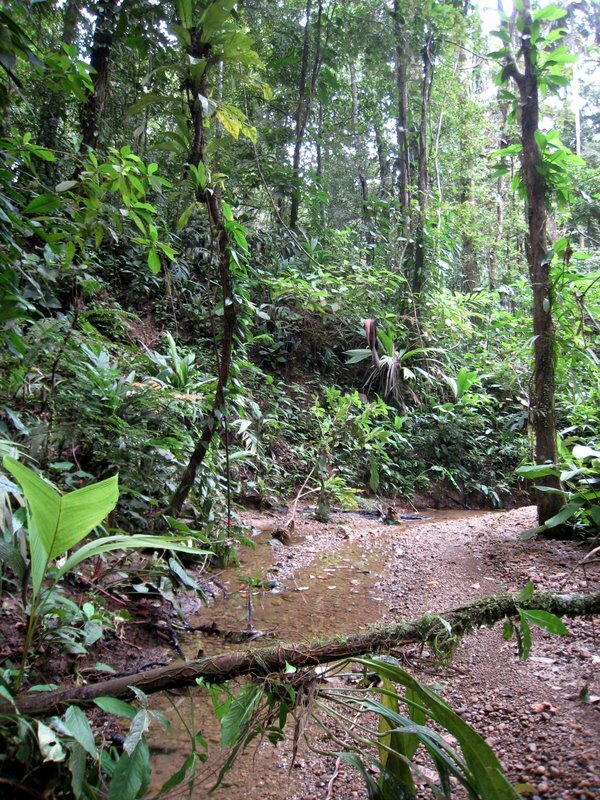 In that same streambed, an agouti practically hit me it was running towards me so fast. I had to wonder what was chasing it, and a few minutes later a dog appeared close by. It barked at me a few times before running off. The rescue center reported that dogs and cats are responsible for many of their rescues, attacking wildlife that falls from the canopy or scaring parents into abandoning their offspring. I’ve never seen such a high concentration of lizards. They literally were everywhere I looked. I encountered a few snakes as well. I found quite a few frogs on the first day, but after that I think the dry weather sent them into hiding. I did continue to encounter some of the local poison dart frogs though. This was my fifth and best trip yet to Costa Rica. I was lucky with the weather, which has been problematic in the past. It was a long drive to get to the area, but it was well worth it given the time I spent there. There’s no shortage of interesting places to visit. I was focused on photography, but there were plenty of opportunities for other activities. It seems to be a popular surf destination and the beaches looked inviting. 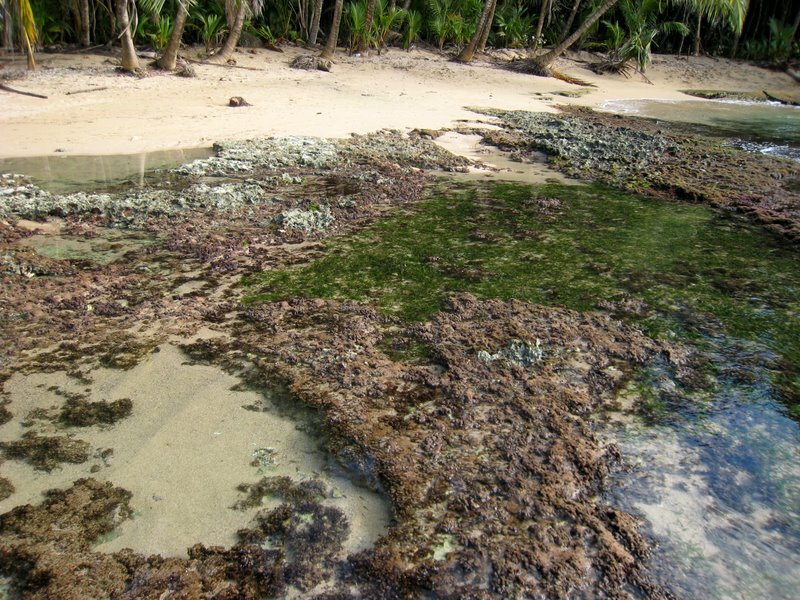 There are some reefs, but some other tourists reported that you really have to time it right because rains silt up the water. I stopped at random places to eat and was impressed with every meal I had. Prices for everything seem lower than elsewhere in Costa Rica. The whole area has an international feel, with many places being owned and operated by foreigners. I came away with around 2000 photographs of which I expect maybe 100 are keepers. I had some specific subjects in mind before arriving and was happy to find at least one of those. I was also surprised to find some things I really didn’t expect to. Stay tuned to this blog in the coming weeks to see the photos. Sounds like it worked out pretty good. I can’t wait to see the photos!